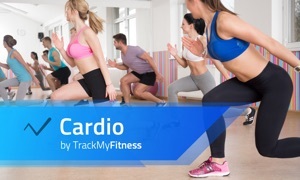 7 Minute Workout App by Track My Fitness for Apple TV by Vimo Labs Inc.
No gym? No excuse! 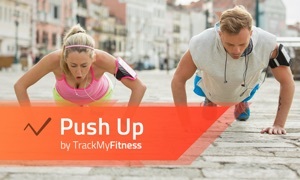 7 Minute Workout by TrackMyFitness combines the calorie burning effects of a long run and a visit to the weight room into just seven minutes of exercise. - Millions have achieved unbelievable results using only the 7 minute workouts. - No more pen and paper with easy exercise logging. - The benefits of working with a personal trainer with the flexibility of home workouts all on your wrist. - Follow your motivational trainer using your iPhone or Apple Watch. - Fully integrated with the brand new Apple Watch technology. 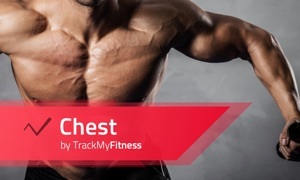 - Watch timer instructs you how long to perform each exercise and how long to rest. - Connect with Apple Health app when using Apple Watch to read heart rate and contribute to activity rings. We appreciate your feedback. If you see a problem or have a suggestion, please do not just leave a negative rating (yes 4* is a bad rating, we have a high standard :-)), because we have no idea why. Please tell us the problem so that we can improve the product by emailing us directly at [email protected] Like other reviews have mentioned, we provide speedy support and we typically respond within 30 minutes. The 7 Minute Workout Elite subscription is $1.99 per month and operates on a 30 day cycle. Payment will be charged to iTunes Account at confirmation of purchase. Subscription automatically renews unless auto-renew is turned off at least 24-hours before the end of the current period. Your account will be charged for renewal within 24-hours prior to the end of the current period at the cost of $1.99. You may manage your Subscriptions and auto-renewal may be turned off by going to your user Account Settings after purchase. No cancellation of the current subscription is allowed during active subscription period. Any unused portion of a free trial period will be forfeited when you purchase a subscription to 7 Minute Workout Elite.